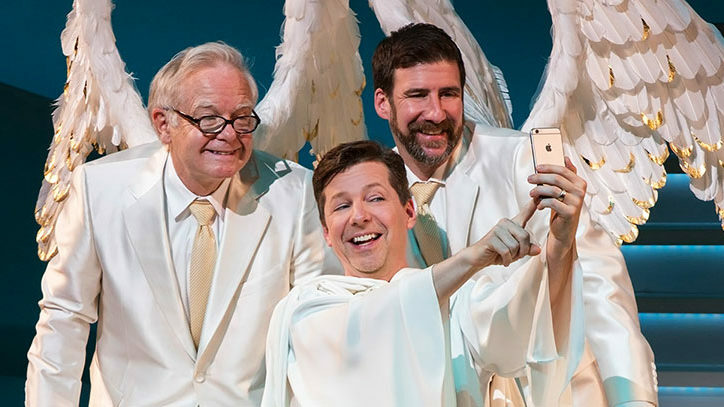 Emmy Award–winner Sean Hayes takes on his biggest role yet, playing God Himself the The New York Times Critics’ Pick An Act of God. Having returned from His 2,000-year sabbatical, the Almighty and His angels finally set the record straight on some of the deepest questions that have plagued mankind since Creation. God blessed Hayes with the role of Jack McFarland on NBC’s Will & Grace, which turned him into a household name and garnered him an Emmy, four Screen Actors Guild Awards, and seven Golden Globe nominations. Divine intervention eventually led Hayes to Broadway, where his 2010 debut in the wildly successful revival of Promises, Promises resulted in a Tony Awards nomination for Best Performance by a Leading Actor in a Musical as well as a Grammy nomination for Best Soundtrack Recording. However, after receiving word from one of His angels that Hayes was taking credit for His work, God decided to possess the actor’s body until Hayes agreed to star in the new play based on His highly praised, incredibly awesome memoir. We sat down with Hayes to get a little insight on what it’s like to work with the man from upstairs. Q: What is it like playing God? A: Taking this part was one of the easiest choices I have ever made because I love everything that asks questions and peels away layers. But the best part about the role is that God inhabits Sean Hayes’ body for the play, which is convenient. Q: Throughout the play, God introduces a new-and-improved Ten Commandments. If you—that is, Sean Hayes—did the same, what would be your most important commandments? Q: What are your thoughts about bringing God back to Broadway? I’m thrilled to be back on Broadway and I’m thrilled to be in such a great show like An Act of God. It’s one of the funniest things I’ve ever read in my entire life and I feel extremely fortunate to be the one to actually say the words. It’s honestly one of the best things I’ve ever been a part of. Q: If Sean Hayes created the world, what would he do on the seventh day to rest? A: I wouldn’t rest on the seventh day because I love to work too much. I am definitely Type A—Type Triple-A. 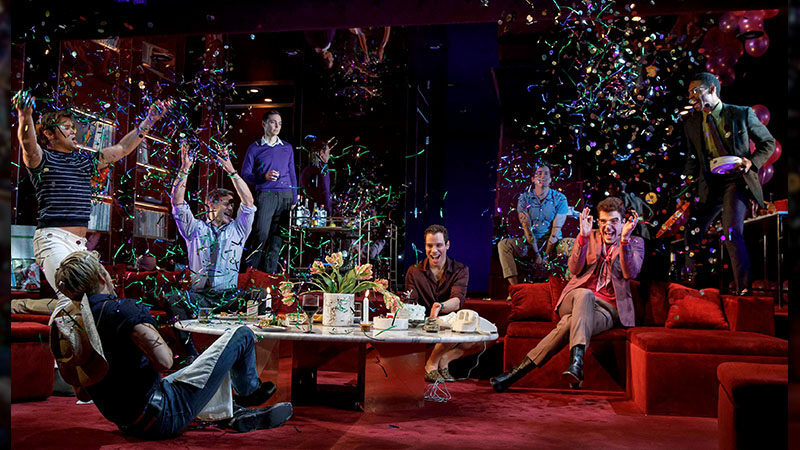 Q: How do you think audiences will respond to the play? A: I think they will embrace it. I don’t think people—even if they are religious—will be offended by it because it’s a comedy. 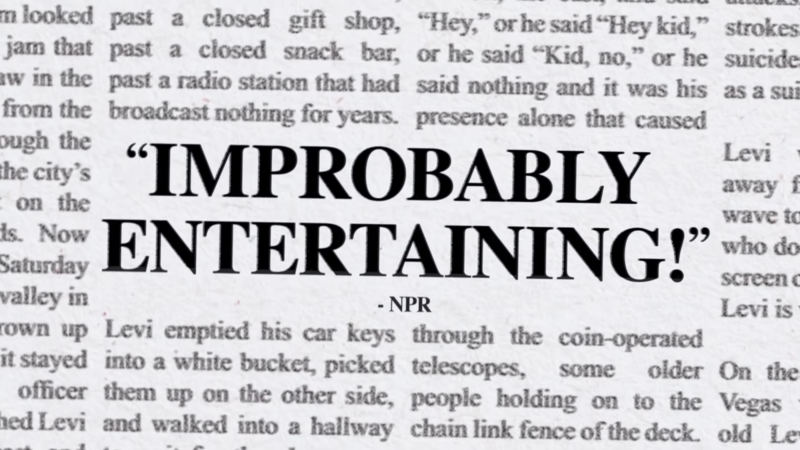 It is witty and sardonic. But it’s also got a great message, which is that ultimately, you have to believe in yourself. This story appears courtesy of SHN in San Francisco, where this story first appeared.